In 1-gallon resealable food storage plastic bag, combine all ingredients; seal bag and shake to coat. Refrigerate 30 to 60 minutes. Meanwhile, heat grill. Remove chicken from marinade; discard marinade. Place chicken on gas grill over medium heat or on charcoal grill 4 to 6 inches from medium coals. Cook 10 to 15 minutes or until chicken is fork-tender and juices run clear, turning once. 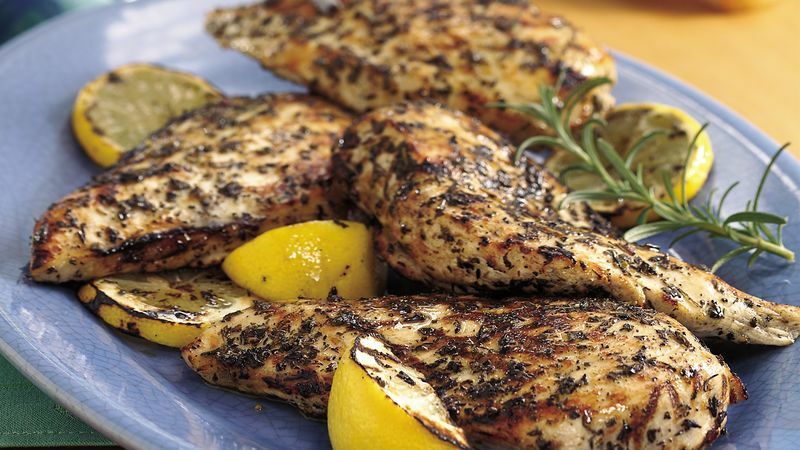 To broil chicken, place on broiler pan; broil 4 to 6 inches from heat using times above as a guide, turning once.